This Promotion is open to residents of the UK and Ireland, and only parents or legal guardians aged 18 and over are able to enter their child into the Promotion, excluding employees of the Promoter and all those professionally associated with this Promotion. The Promotion starts at 00:01 Friday 22 September 1st 2017 and closes at midnight on Thursday 19th October 2017. Children being entered into the Promotion must be aged between 1 and 4 years as of Friday 22nd September 2017. Entrants must be able to provide evidence on request (including, but not limited to, birth certificate or passport) that the child in the photograph is aged between 1-4 years as of Friday 22nd September 2017. No bulk or third party applications will be accepted. Only the entrant’s first entry (up to two photographs) will be accepted. In the case of twins or other multiples (whether identical or not), these will be considered as one entry. If any entry fails to reach us within the deadline, it will not be considered. Entries above the maximum number permitted or which are incomplete, incomprehensible, illegible, or which are received or submitted after the deadline for receipt of entries will be invalid and will not be considered. You will be required to upload at least one and a maximum of two photographs of your child to the Annabel Karmel website. Photographs should not have been computer-enhanced or obscured in any way, and should be in a JPEG format up to 5MB in size. If you experience difficulties uploading your picture, we suggest you try another browser or email [email protected]. You must complete all of the necessary fields outlined on the form to enter the Promotion. Any images deemed not original or genuine by the Promoter may be refused at the Promoter’s discretion. The Promoter’s decision is final in all matters pertaining to the promotion and no correspondence will be entered into. All valid entries received by the closing date and time will be reviewed by Annabel Karmel and Bluebird Pan Macmillan who will then create a shortlist of up to five entries which, in their opinion, best meet the selection criteria. Entries will be judged based on the selection criteria for this stage which includes the most photogenic children in the photographs. Annabel Karmel and Bluebird Pan Macmillan’s decision is final. Entrants must be available to be contacted by phone or by email between 09:00 on Wednesday 25th October 2017 and 17:00 on Friday 27th October 2017. The finalists must accept being chosen for the photoshoot by 17:00 on Wednesday 25th October by replying to the email. Finalists must be available with their child for photography purposes at a location within easy reach of central London on Friday 10th November 2017. Only those entrants who are chosen as successful finalists will be contacted. If an entrant drops out at any stage, if they are ineligible, or cannot attend the appropriate dates, or an entrant does not pass the verification stage, another entrant may be selected. Standard travel will be provided for each finalist and their child from their home to the photoshoot location. Please note that it is the responsibility of the entrant to arrange and pay for their own expenses relating to travel such as accommodation expenses, parking costs, car hire, meals, drinks, excursions, telephone calls including local and long distance telephone calls, spending money, personal items, incidental costs, and any other costs, charges, taxes or expenses which may be incurred when entering this competition. By making an entry you grant the Promoter permission to use the entry in any way it wants for marketing, PR and social media purposes. Entrants acknowledge that they will not receive any fee or royalty payment from the Promoter or any third party for the consents and grants given by you in relation to your entry. All finalist entrants may be used on multiple formats and territories and a model release agreement will need to be signed on the day. 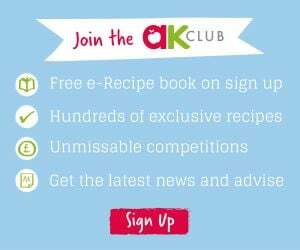 Annabel Karmel and Bluebird Pan Macmillan will select one (1) finalist to become the cover star of Annabel’s new 2018 cookbook based on which child is the most photogenic and their behaviour in front of a camera. The four remaining finalists may be featured inside the book. In the case that no photographs are suitable from the day of the photoshoot, the Promoter retains the right to refrain from using any finalist photographs in the book or on the front cover. Annabel Karmel will inform the winner and runners-up within 28 days of the photoshoot taking place. Each of the five finalists who attend the photoshoot will receive an Annabel Karmel goodie pack to include 2 books signed by Annabel Karmel, a selection of children’s books and a branded canvas bag. They will also receive up to two photos from the photoshoot (supplied electronically). All five finalists will also receive two signed copies of the new book when it is published in 2018. Rights to the photographs taken on the day will be owned by the Promoter. Photographs supplied to all five finalists are for personal use only. They cannot be sold or used for advertising purposes. If there is any reason to believe that there has been a breach of these terms and conditions, in the spirit of the promotion, the Promoter may at its sole discretion refuse to accept an entry. The prize is non-transferable and no cash alternative is available. The Prize Provider reserves the right to award an alternative prize of equal or greater value, should any advertised prize or any part of it become unavailable for any reason. The Promoter shall not be liable for any failure of any third party to fulfil its contractual obligations although the promoter shall try to minimise the effect of such failures. By entering this Promotion, the entrant agrees that they will not submit an entry to the competition which contains any information or product which in any way infringes the copyright or other rights of a third party, or which infringes any applicable laws and that the information they provide is accurate and up to date. The entry must not contain any information or product which is in any way defamatory, obscene, unlawful, harmful, offensive or inappropriate or infringes the rights of a third party or may have the effect of being harassing, threatening, abusive or hateful or that otherwise degrades or intimidates an individual or group of individuals on the basis of religion, gender, sexual orientation, race, ethnicity, age or disability. The entrant agrees not to advertise or promote third parties’ goods or services within their entry. Any such entry will be deemed inappropriate and will not be considered. Entries that do not comply with the Terms and Conditions or entrants found to be abusing the promotion in any way will have all their entries disqualified. Any question regarding the legal interpretation of these terms and conditions will be based on English law and the Courts of England and Wales will have exclusive jurisdiction. By entering the Promotion, entrants agree to be bound by, and are deemed to have read, understood and accepted, these Terms and Conditions. Promoter: Karmel Foods Limited, 18A Pindock Mews, London, W9 2PY.